Pristine and Tranquility...your private retreat awaits. 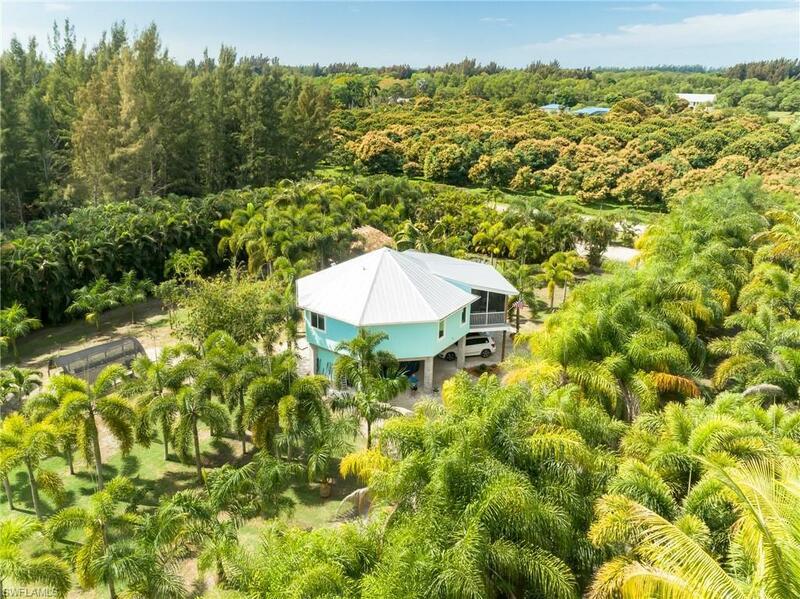 Heart of Bokeelia, located in Pine Island, FL sitting on 1.34 acres, this home offers the Best of Everything. Bokee Farm is like no other with its unique hurricane rated, octagon shape, 2016 built featuring upgrades galore, including all plank tile flooring, hurricane impact windows and door, metal roof, high efficiency AC, stainless steel appliances and farmhouse sink, built in safe, whole house RO system, back-up generator with inground 250 gallon propane and so much more! Authentic Tiki Hut...perfect for entertaining or relaxing in your own tropical oasis with grapefruit, avocado, mango trees, and Manzano bananas. Surrounded by all the Island Amenities... shops, restaurants, marinas, boat ramps & of course the inshore & offshore fishing, beaches & barrier Islands yet nestled away off the beaten path. This is your Paradise Found!! or if you choose, current zoning allows you the option to plant fruit, palm trees. The Time is Now!! Make this Piece of Paradise yours Today!! !